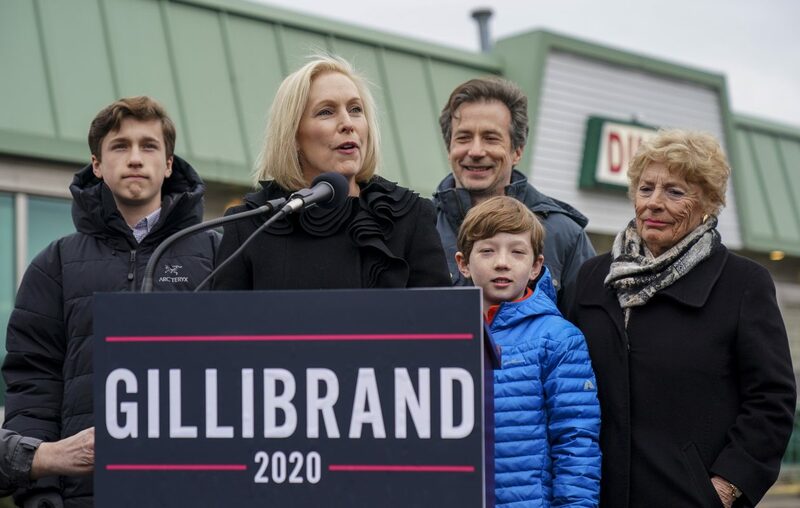 WASHINGTON – Sen. Kirsten E. Gillibrand has drawn some harsh media coverage since launching her bid for the Democratic presidential nomination in January – but in that, it seems she's part of a sisterhood. Women candidates for the Democratic nomination are consistently receiving tougher coverage than their male counterparts, according to a recent study of 130 stories from the nation's top news websites. The study – Storybench 2020 Election Coverage Tracker by the Northeastern University School of Journalism – examined the positive and negative terms used in campaign stories from The Washington Post, The New York Times, The Huffington Post, CNN and Fox News. Only about 40 percent of the terms in the stories about Gillibrand could be considered positive. That's a lesser percentage than for any other candidate. "The New York senator is getting less coverage than her counterparts, and when she does get it, it’s mostly negative," researchers concluded. "That unfortunately seems to be the rule, not the exception." Other female candidates did not do all that much better, though. Sens. Kamala Harris of California, Amy Klobuchar of Minnesota and Elizabeth Warren of Massachusetts all received more negative coverage than the three male candidates studied: Former Rep. Beto O'Rourke of Texas, Sen. Cory Booker of New Jersey and Sen. Bernie Sanders of Vermont. Sanders, the study said, had the most positive media coverage. None of this comes as a surprise to aides to Gillibrand. They see subtle sexism behind the media's repeated coverage of Gillibrand's changing position on some issues, which they see as more aggressive than coverage of O'Rourke's shifting stances. This isn't surprising, either, to Debbie Walsh, director of the Rutgers University Center for American Women and Politics. She recalled that in 2016, Democratic nominee Hillary Clinton endured criticisms of her voice and her facial expressions that no male candidate had to endure. And now, Walsh said, O'Rourke in particular is escaping the kind of scrutiny that every woman candidate is facing. "He's just sort of shot up and become this kind of icon to a lot of people and, and yet, there's been very little scrutiny of who he is, what he stands, for his background," she said.